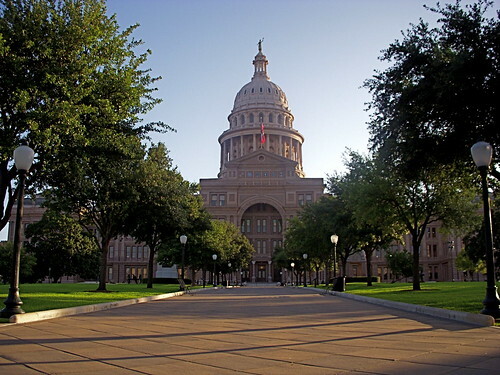 Public buildings are government buildings (federal, state, county, municipal) that are open to the public to some degree. For example, your state capitol is a public building, but the Pentagon is not. 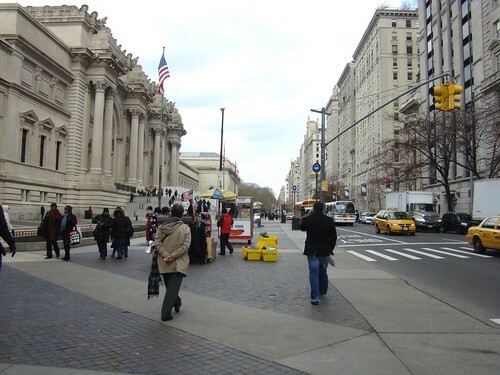 Public buildings can also be privately owned buildings that are open to the public freely or with a fee, like museums, concert halls, stadiums, etc. Regardless of who owns them, public buildings may be for assembly (theaters or churches), they might contain offices (city halls), hold collections (libraries), or perform a service (DMV or post office). What Do Public Buildings Have in Common? With all these different building groups, what are the elements that most Public Buildings have in common? As mentioned above, public buildings must be open to and for the people. And this should be very obvious architecturally. The main doors should be plainly visible, even if portions of a building are private with secure entrances. Entry areas are typically visible from far away, especially since you need to know which side of a large building to head for. Public buildings (unlike secure government buildings) rarely have fencing or walls about them; nor do they have easily defensible enclosures. They are meant to be welcoming. Most public buildings are significantly larger* than the surrounding buildings. They are meant to leave a memorable impression on those who see them. They are usually landmarks that help with navigating a town or city. The might have tall towers or enormous domes. However, in cities with high-rises they might have to stand out in ways other than height. One of the ways they can do this is being set off by open space or significant setback from the street. 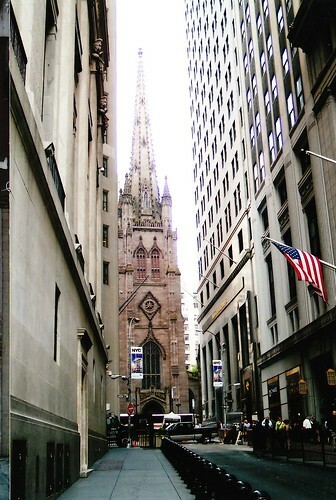 *Exceptions are usually older buildings around whom larger buildings were built like Trinity Cathedral, pictured on the right. Notice how the building is set back from the street. Open space is just an area that is not filled in with building. It might be a park or a paved plaza... strictly speaking, it is also a street. Large public buildings would be pretty difficult to view from right next to them. Picture standing right next to the base of a tree and trying to admire or identify the characteristics of the tree. You'd need a bit of distance to appreciate its overall presence, and it is the same with buildings. 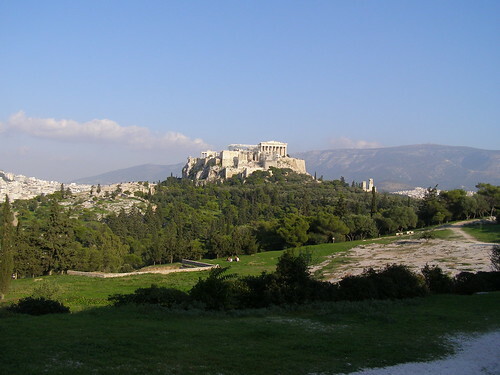 Note: some buildings, like those up on a hill, can be viewed from a significant distance, but that's a different thing entirely: that's almost like signage, "come this way to worship at the Temple of Athena--you're almost here!" Almost all public buildings will have had an architect design them. This means that at the very least, their design was not accidental. In the world there is a a lot of accidental design that is the result of few choices, minimal budgets, zoning regulations & building code, leftover materials, and poor workmanship. For public buildings, of course there are budgets and regulations, but these are carefully managed during the design process. 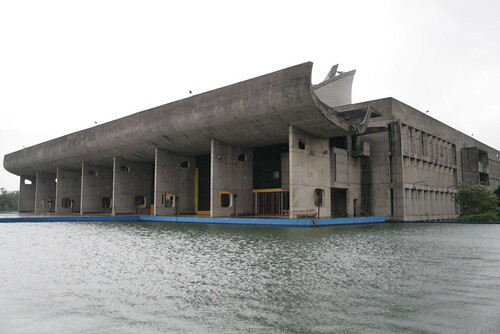 You can be assured that public buildings look like what they were meant to look like. Many government buildings will look solid, like they've been there a long time, and even intimidating in a you-don't-want-to-mess-with-us sort of way. They may even be unwelcoming if they are more interested in security, like the new federal courthouse here in Salt Lake City. You don't want to have to go in there unless you work there. 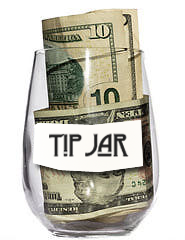 Banks will often have a similar impression of security & trustworthiness. Some public buildings will assert wealth and ancientness (sometimes trying to look like Greek temples, for example), while others will imply modernity or thrift. Symphony halls and other assembly spaces are often very welcoming, almost as if their forecourts (required to allow all those people to get out in a hurry during emergency) were lined with large open arms to embrace, like at St. Peter's in Rome. Is the public access highly visible? Could its forecourt be called "welcoming?" How does its size relate to the other buildings nearby? Is there enough open space to view the building and to set it apart? What is its design trying to communicate? 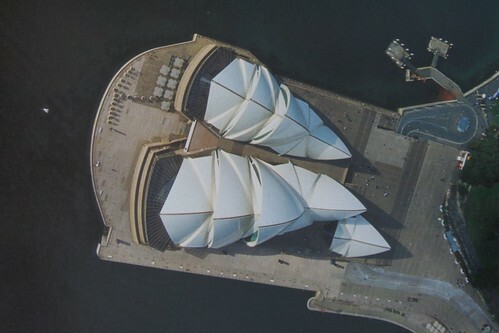 Clarissa: What's the deal with the Sydney opera house? And why can't all houses have that roof? 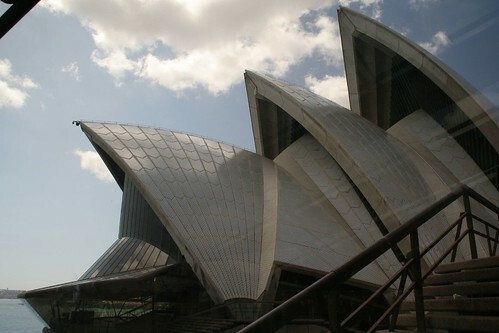 Ally: Wikipedia has a really nice article about the opera house here. The curved concrete panels are supported by precast concrete ribs and finished with tile. The overall effect is fairly crustacean. 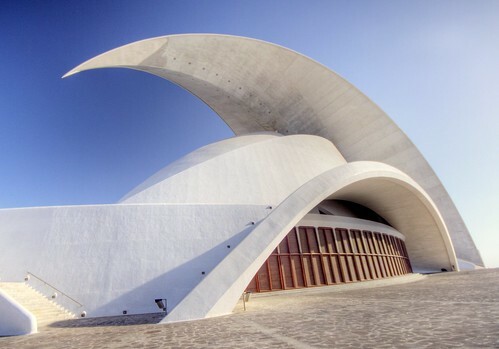 One of the most important aspects of a hall of this type is acoustics, and it would seem that the roof shape would have a significant impact on them. As completed (very different from the original design), the acoustics have remain troubled, even being dangerous for the musicians' hearing. The project was ten years late and 14x overbudget. Wow. Both a source and a result of so much turnover in the team. Still, it is THE icon of the Sydney skyline, and will be there for the foreseeable future. Success or Failure, do you think? As you can tell, precast* beams and panels are not an inexpensive way to go. It was state of the art in the 1950s. Each element must be computer modeled and manufactured, then transferred to the site. *precast merely means that the pieces are manufactured in a factory, not poured onsite. And here is a selection of homes with curved roofs, not necessarily of precast concrete. 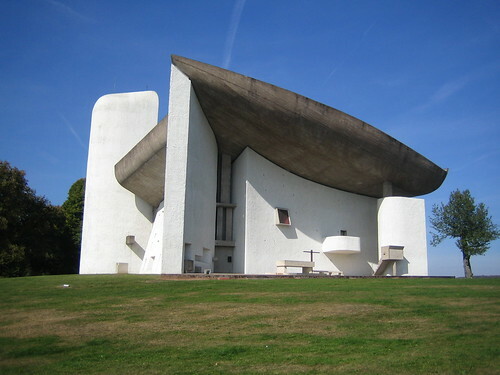 One of the more famous curved concrete roofs, a pilgrimage chapel at Ronchamp, was poured, not precast. The inside of the new courthouse has suspended colums inside. Do you think they are meant to suggest the colums of the former courthouse? The old (Moss) courthouse was built as a post office. No need for being imposing, other than being a representative of the federal government in the wild west... It somehow managed to look both defensible (like a castle) and greek temple-like, except with windows!